← Build Your Own Lego La Scala Milan! That is my hand and camera on the photo – an unintentional addition! This is Ian’s biography. It makes for very impressive reading! Based in London since 1993, he has pursued an active international career, performing throughout Britain, Europe and the US. His absolutely vast repertoire of all periods focuses particularly upon music of the 20th and 21st Century, including a wide range of works by contemporary British, French, German and Italian and other composers as well as the ‘classics’ of modern music by composers such as Boulez, Stockhausen, Barraque, Xenakis, Ligeti, Nono, Kagel and Cage. 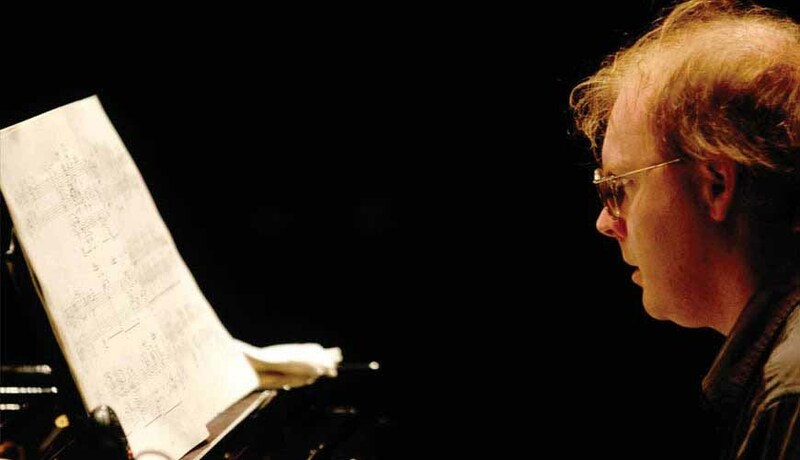 He has given world premieres of over 100 pieces for solo piano, including works by Richard Barrett, Luc Brewaeys, William Brooks, Aaron Cassidy, James Clarke, James Dillon, Gordon Downie, Pascal Dusapin, Brian Ferneyhough, Michael Finnissy (whose complete piano works he performed in a landmark 6-concert series in 1996), Christopher Fox, Volker Heyn, Wieland Hoban, Hilda Paredes, Alwynne Pritchard, Horatiu Radulescu, Frederic Rzewski, Thoma Simaku, Howard Skempton, Gerhard Stäbler, Serge Verstockt, Jay Allan Yim and Walter Zimmermann. He is renowned for ambitious and ingenious programming, and for his ability to surmount the most transcendental of pianistic challenges. He has presented cycles of works including Stockhausen’s Klavierstücke I-X, and the piano works of Ferneyhough, Fox, Kagel, Ligeti, Lachenmann, Messiaen, Radulescu, Rihm and Skempton. His many performances of the standard piano literature combine elements derived from historical performance research with a modernist perspective to produce often startingly original interpretations. In addition to his activities as a soloist, Ian is the Artistic Director of the ensemble Topologies and regularly plays with other soloists and groups, most notably the Arditti Quartet. Ian has played in 23 countries and at most major European venues and festivals, including Festival D’Automne in Paris, Agora, IRCAM, Archipel, Geneva, Ars Musica in Brussels, International Beethoven Festival in Bonn, Berlin Bienalle, Wien Modern, the International Music Festivals in Aldeburgh, Bath, Cheltenham, Huddersfield and Oxford, Nuovo Consonanza in Rome, Sonorities in Belfast, Warsaw Autumn and the International Bartok Festival in Szombathély. He has played with orchestras including the Orchestre de Paris under Christoph Eschenbach (with whom he premiered and recorded Pascal Dusapin’s piano concerto À Quia), SWR-Orchestra Stuttgart under Rupert Huber, and the Dortmund Philharmonic under Bernhard Kontarsky. Many of his recitals and recordings have been broadcast, by British, French, Belgian, Dutch, German, Swiss, Austrian, Italian, Polish and Australian Radio. He has recorded numerous CD’s on the Metier/Divine Art, Mode, NMC, Black Box, Albedo, Stradivarius and Naive labels, which have been received with great critical acclaim. He has given many workshops and masterclasses, including as a teacher at the festivals in Acanthes, Metz, and Impuls, Graz. In September 2013 he will be teaching for the first time at the Akademie für Neue Musik in Munich. ian_dartingtonIan taught first at the London College of Music and Media from 1998 to 2001, where he was co-director of a department for contemporary piano, then as an AHRC Research Fellow at the University of Southampton from 2003 to 2006 (where he wrote a monograph on Michael Finnissy’s The History of Photography in Sound). He was Lecturer in Contemporary Musicologies at Dartington College of Arts (now University College Falmouth) from 2007 to 2010, before taking up the position of Lecturer in Music at City University London. Since 2011 he has been Head of Performance at City. Recent concerts have included appearances in London, Birmingham, York, Leuven, Amsterdam, Cologne, Stuttgart, Berlin, Graz, Santiago and Buenos Aires. He recently gave the UK premiere of Marco Stroppa’s miniature estrose in the first London Ear Festival, a range of new works at the ISCM Festival 2012, and a performance of John Cage’s Music of Changes in the Barbican Centre. Later in 2013 he will be giving the world premiere of a new work by Frederic Rzewski for a concert in the York Late Music Festival as well as playing together with the composer, as well as playing in the Firenza Suona Contemporia, TRANSIT Festival Leuven, and the Huddersfield Contemporary Musical Festival. 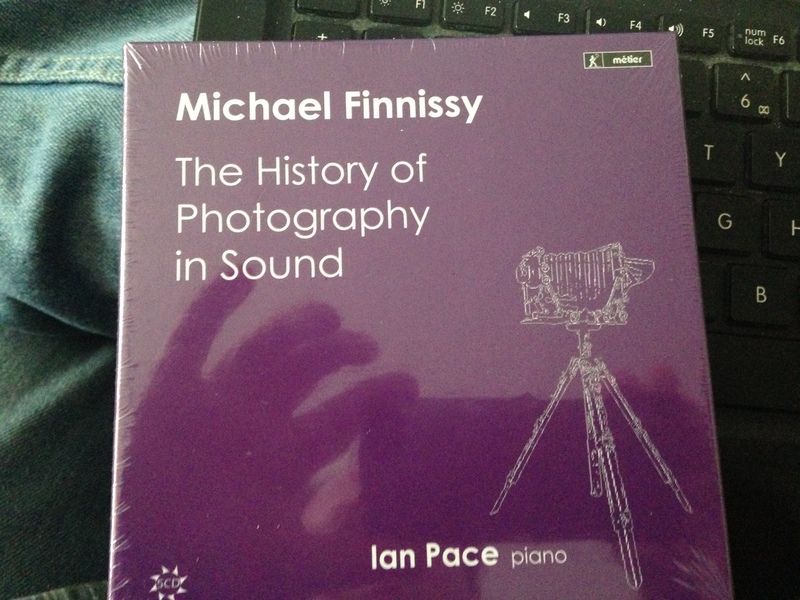 He will be making a new recording of the Cage Music of Changes in the summer, and also his recordings of the complete piano works of Brian Ferneyhough, and Michael Finnissy’s The History of Photography in Sound will be released later in the year on Divine Art. As a academic teacher and researcher, his specialist areas include 19th and 20th century musical history and performance, the post-1945 avant-garde, especially in West Germany, historical performance practice, issues of music and society (in particular focusing upon the work of Theodor Adorno), aesthetics of romanticism, modernism and post-modernism, music and the cold war, instrument history, nineteenth-century opera, site-specific music, and the role of musical institutions. He co-authored and co-edited the volume Uncommon Ground: The Music of Michael Finnissy (Aldershot: Ashgate, 1998) and has published widely in The Musical Times, Tempo, Contemporary Music Review, International Piano, Open Space Magazine, Liszt Society Journal, Classical Music, Musiktexte and Musik und Aesthetik, as well as authoring many programme and CD liner notes. Recent publications have included chapters on ‘Verbal Discourse as Aesthetic Arbitrator’ in Björn Heile (ed), The Modernist Legacy (Aldershot: Ashgate, 2009), ‘Notation, Time and the Performer’s Relationship to the Score in Contemporary Music’, in Darla Crispin (ed), Unfolding Time: Studies in Temporality in Twentieth-Century Music, edited Darla Crispin (Leuven: Leuven University Press, 2009), and ‘Coldness and Cruelty as Performance in Deleuze’s Proust’, in Mary Bryden and Margaret Topping (Eds), Beckett’s Proust/Deleuze’s Proust (Basingstoke: Palgrave Macmillan, 2009). He has given many guest lectures and conference papers. His book Brahms Performance Practice: Documentary, Analytic and Interpretive Approaches will be published by Ashgate in 2013, and his chapter on 19th century instrumental performance was published in Colin Lawson and Robin Stowell (Eds), The Cambridge History of Musical Performance (Cambridge: Cambridge University Press, 2012). Since 2006, he has been engaged on a large scale research project concerning the development of the musical avant-garde and its institutions in West Germany between 1945 and 1963. This entry was posted in About Brendan Ball and tagged art, biography, divine, finnissy, history, ian, in, michael, of, pace, Photography, pianist, piano, sound, the. Bookmark the permalink.